The first in our monthly Health, Wellness, and Fitness series, we will be going throughout the body and telling you all you need to know about an aspect of health and how you can improve it in your life. 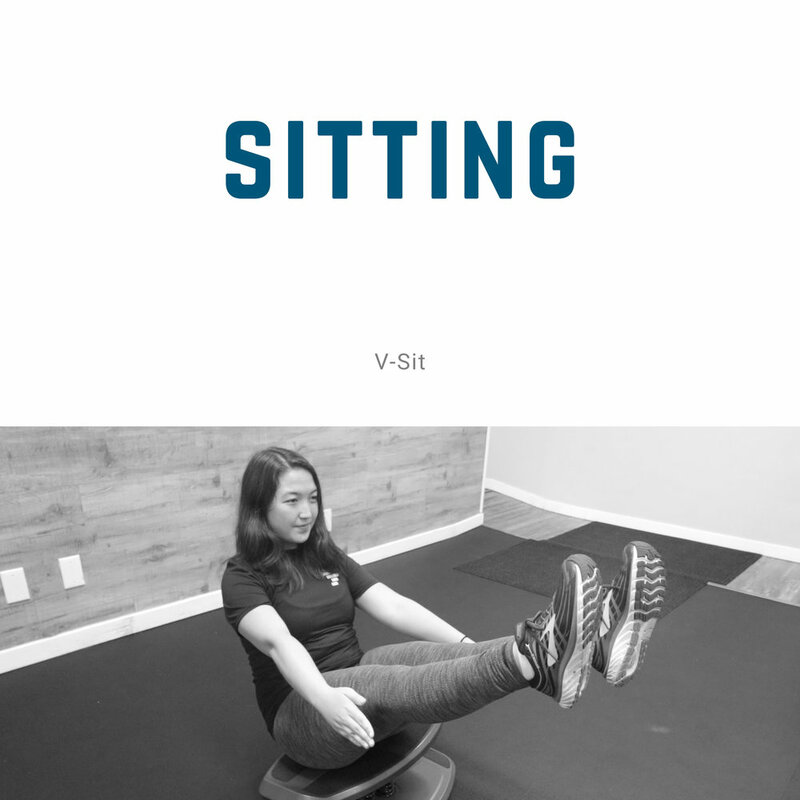 Balance uses visual, vestibular, and somatosensory (proprioception mainly) systems to maintain a line of gravity from a base of support, minimizing lateral sway from that equilibrium. Balance, an often over-looked component of fitness, is a skill that can be tested and improved in a range of ways. One such way that we advocate for is using an unstable surface or specially-designed tool, like the Strongboard Balance Board (alternatively, you can use a different balance board, wobbleboard, BOSU ball or other uneven surface for most of these exercises). 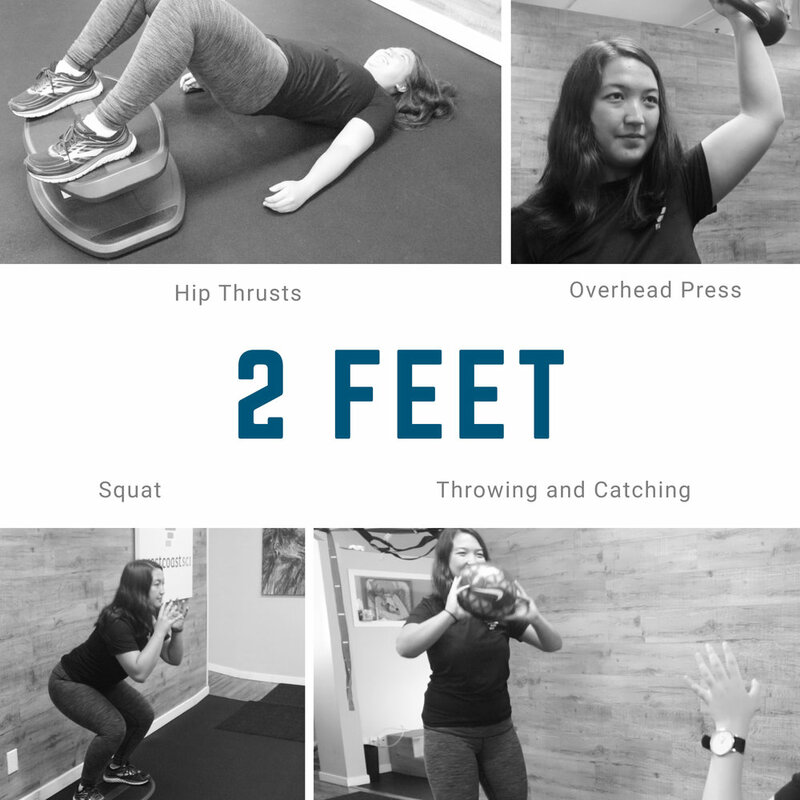 Having the only certified Strongboard instructor in Canada, you book an appointment today to try these out with professional guidance from a kinesiologist. Squat – Stand with two feet on the board, engage your core and sit back into a squat. Throwing and Catching - Standing with two feet on the board, have another person throw you a ball. Catch and throw it back. Burpee – Carefully lift the board from the ground up and overhead, then bring it back down to the ground, place both hands on the board and jump back into a plank position, do a push up and return to standing, REPEAT! 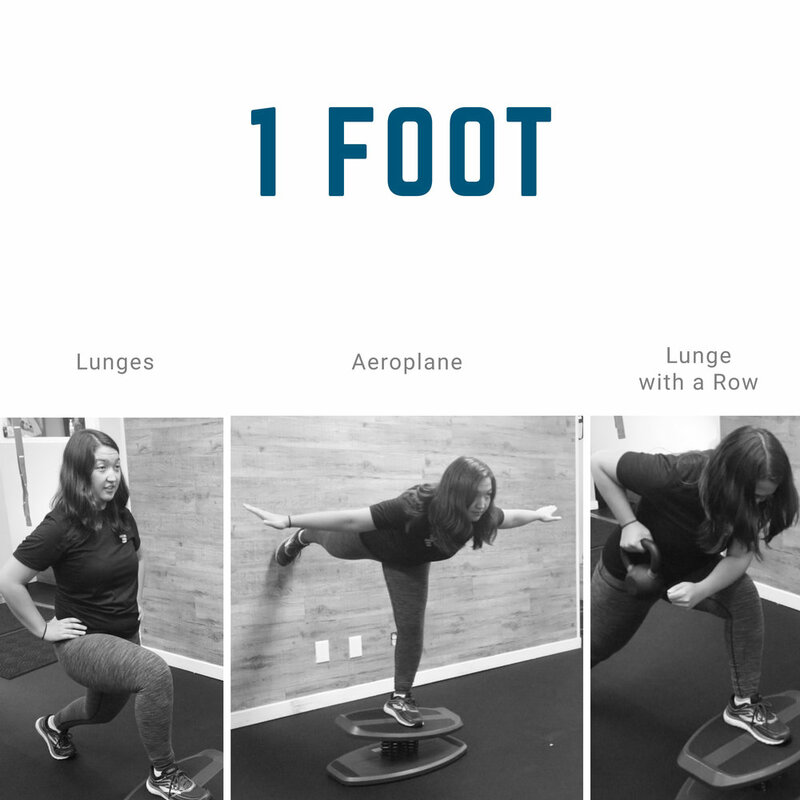 Lunge with rotation - Holding the board in front of you at chest height, perform a lunge then rotate to each side. Come out of the lunge and repeat.